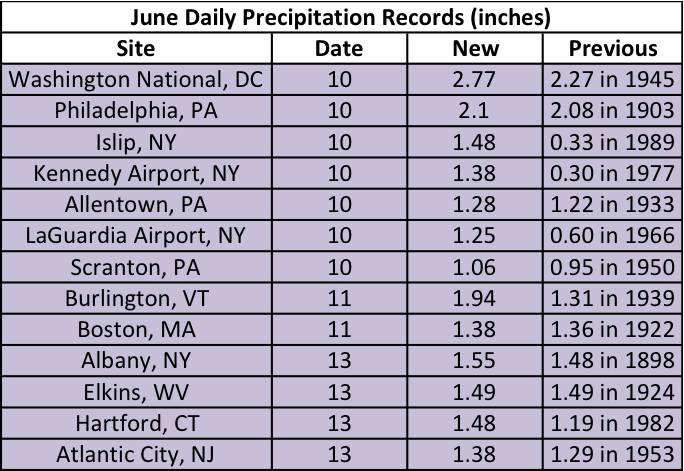 The first two weeks of June brought above-normal rainfall to the region, especially coastal areas. 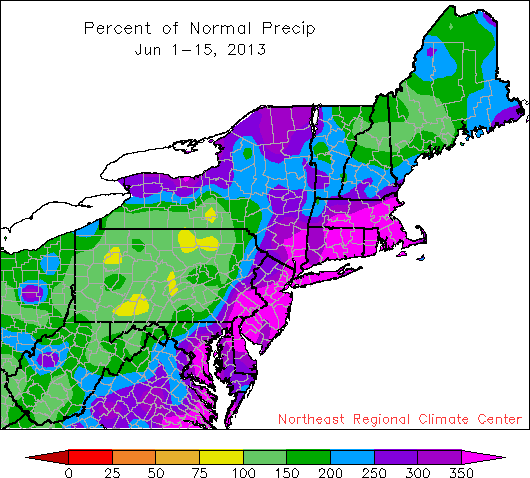 If you thought June has been wetter than normal, you were right! 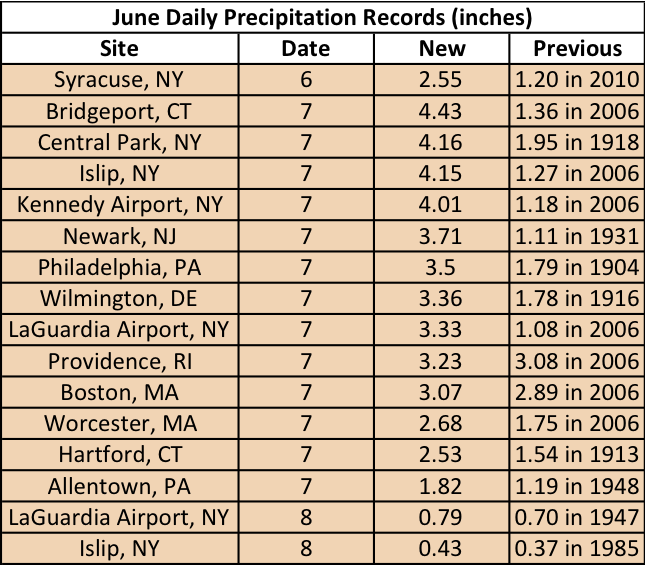 Looking at precipitation data from June 1-15, all 35 first-order climate sites have been wetter than normal. 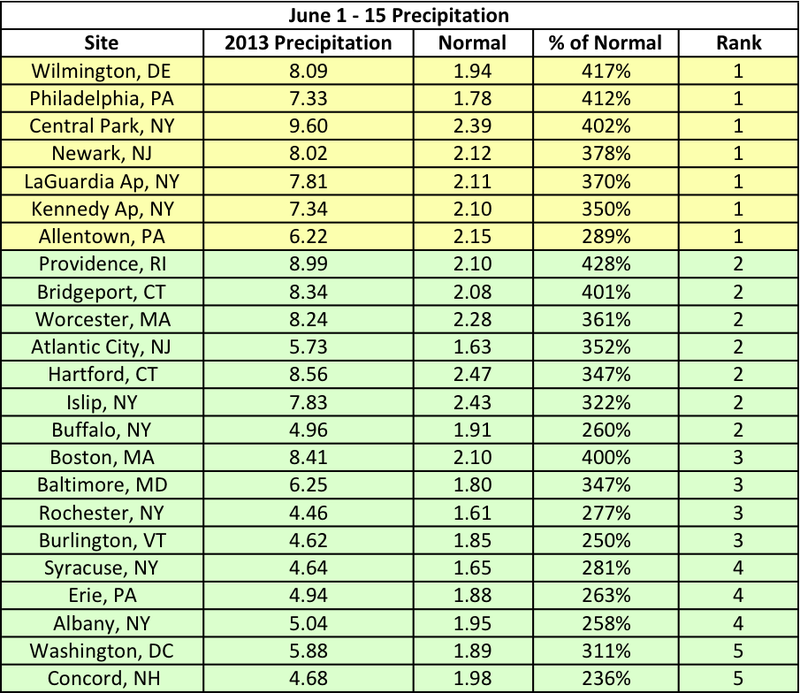 Comparing the first two weeks of June this year to previous years, 5 sites ranked it as their wettest on record and 23 sites ranked it among their top 5 wettest. 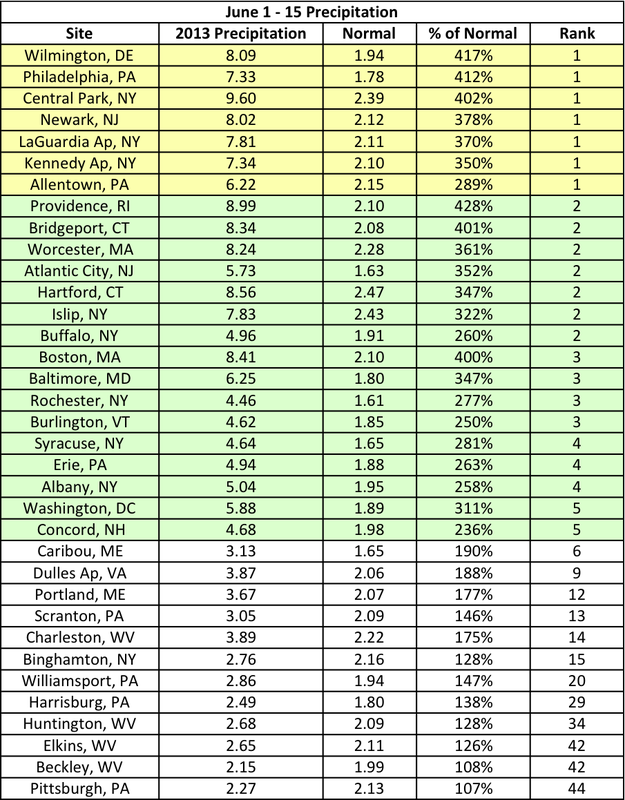 In terms of percent of normal, Providence, RI, was the wettest site at 428 percent! The month so far featured several rounds of heavy precipitation. From the 6th to the 8th, a low from the Midwest and the remnants of Tropical Storm Andrea caused 14 sites to set new daily rainfall records. Storms from the 10th through 13th caused another 13 sites to set new daily rainfall records. While the heavy precipitation brought some flooding, it also helped ease much of the abnormally dry conditions in New England and southern New York.